You know that trade-in site Gazelle, you know, the company that wants to buy the iPhone in your pocket so you can buy the new iPhone? Well ever since RIM experienced server outages around the globe they have seen an 80% increase in BlackBerry trade-ins. 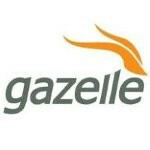 Gazelle doesn’t really ask why users are trading their BlackBerrys in, but the timing of the spike of trade-ins with the server outages cannot be ignored. It is also possible that users just wanted to get their hands on some of the new devices coming out and wanted some cash to help with the cost. Some of the trade-in values for BlackBerrys aren’t too bad at all. However, most of the devices that have the highest trade-in values are probably new enough that the owner is still locked in to a contract. Older devices such as the BlackBerry Bold 9000 will only net you $43 if it is in perfect condition while a new handset like the BlackBerry Torch 9810 will add $222 to your bank account if it is pristine. With more and more users dumping BlackBerry devices every day, it is easy to see why the once dominant company is struggling. Some specs and a mock-up of the BBX-powered BlackBerry Colt surfaced yesterday, so we will have to see if it is good enough to entice anybody to give them another shot. Tell us what you think. Blackberry, the C-64 of smartphones.